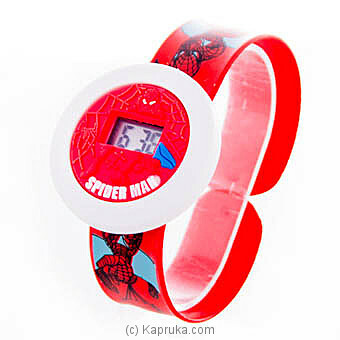 This adorable watch is a perfect piece for your little one`s accessory collection! It has all of the features you need in a stylish timepiece and it will be a wonderful gift for any occasion! This slap watch is incredibly easy to put on and take off for just about any age. Simply `slap` it on your wrist and voila. The band is easily removable to allow the time piece to act as a fun pocket watch and the band as a bracelet!